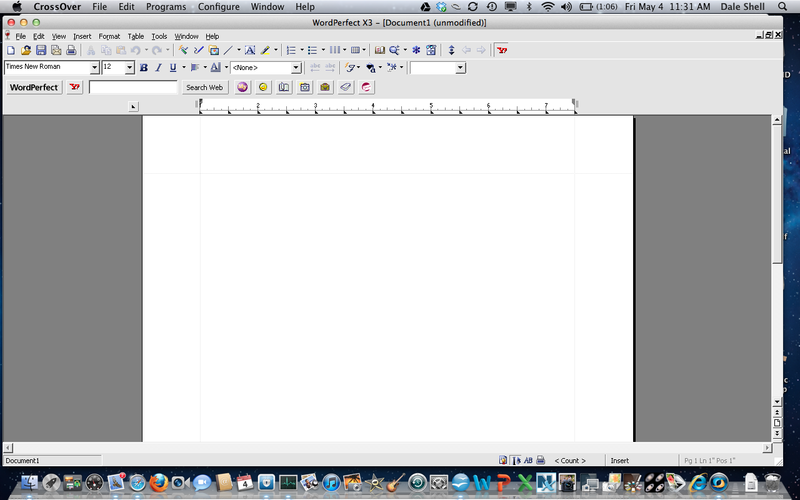 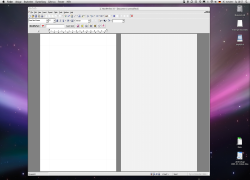 This is a screenshot from my Macbook's desktop. 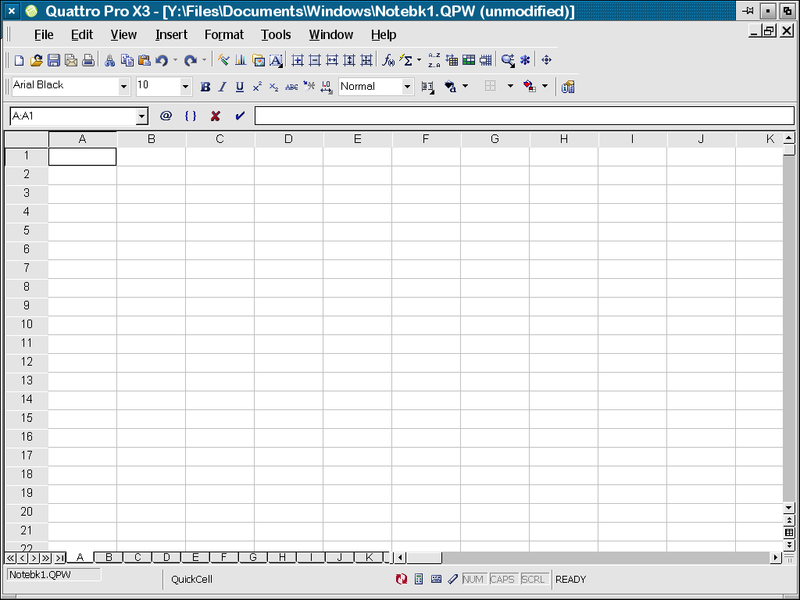 It shows that WPX3 runs without a problem. 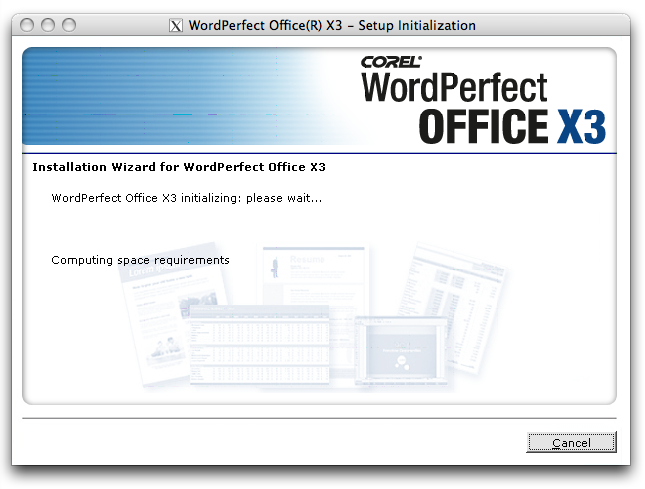 Just remember to install it in a WIN98 type bottle! 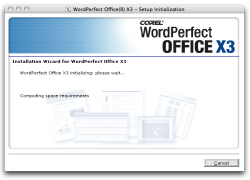 WordPerfect X3 in a Win98 bottle running under CrossOver Professional 8: works very well. 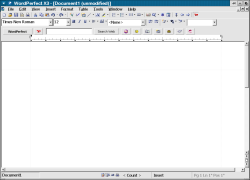 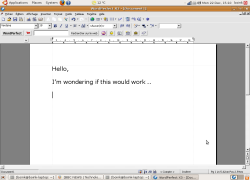 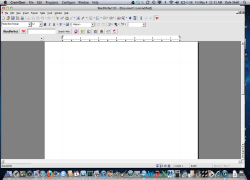 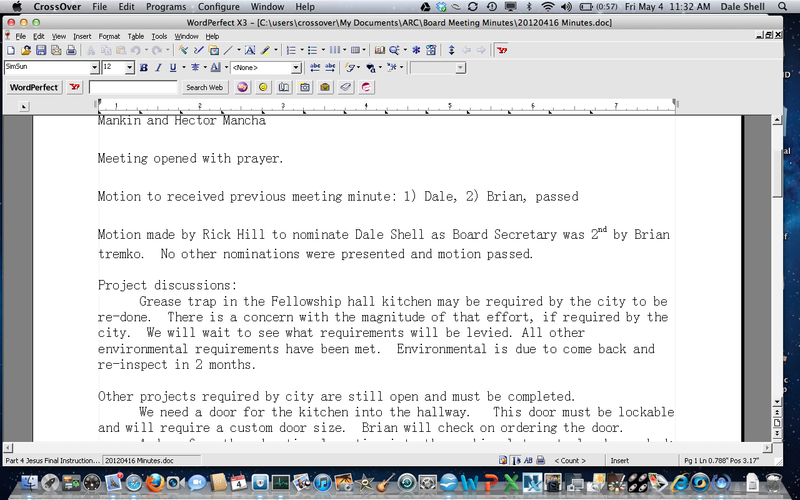 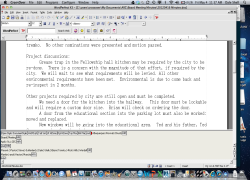 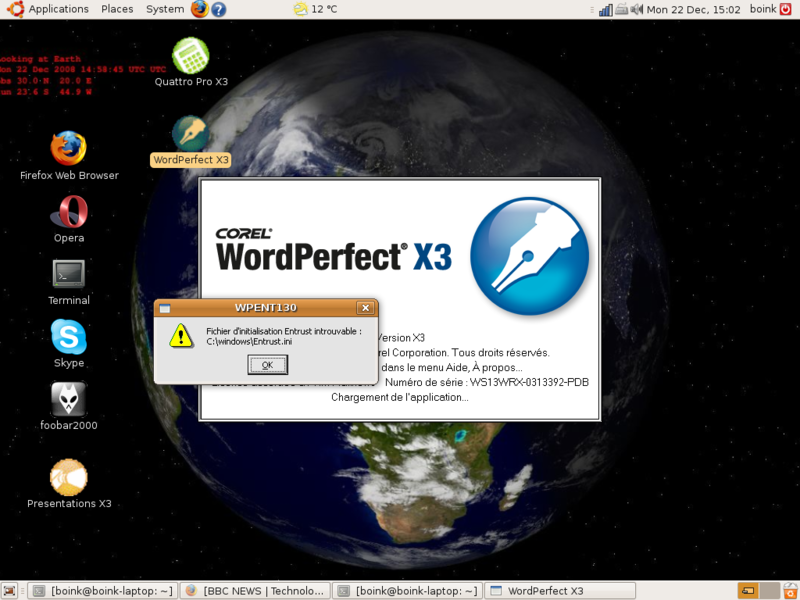 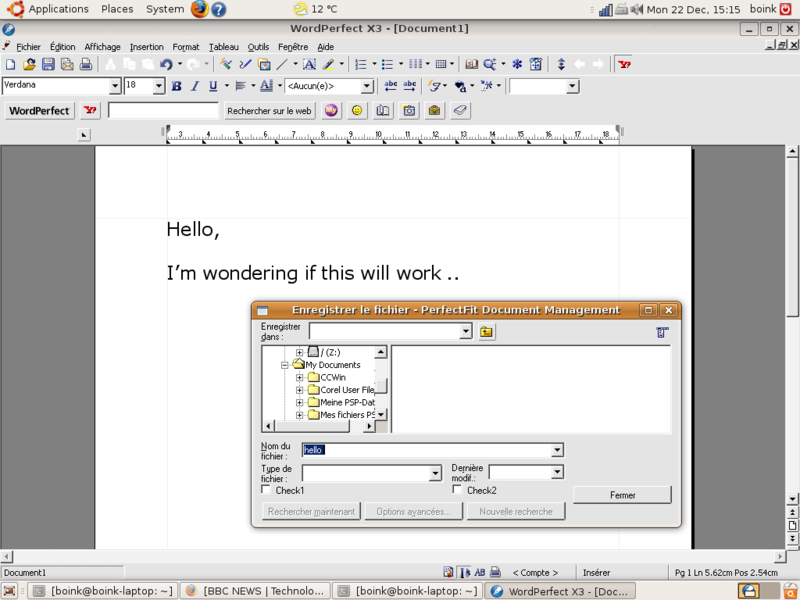 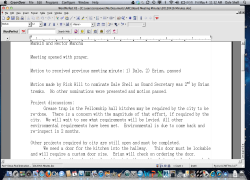 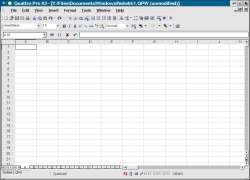 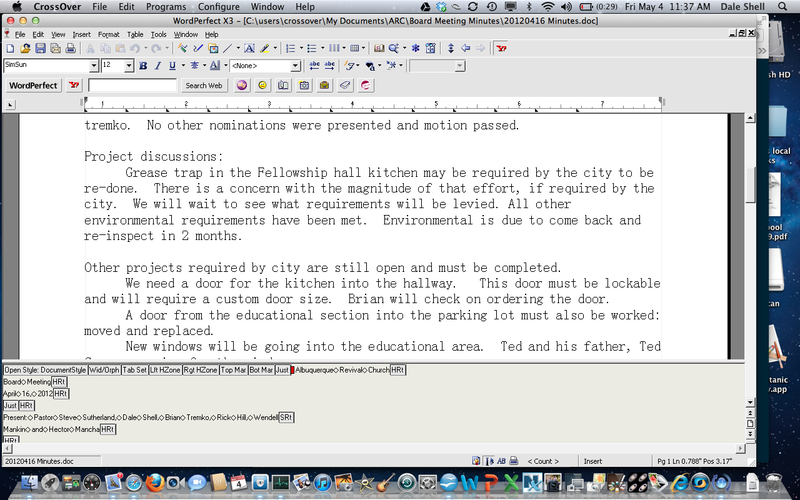 Screenshot of WordPerfect X3 running on Ubuntu 8.10/CrossOver 7.1. Just like in version X2, you cannot save your work. 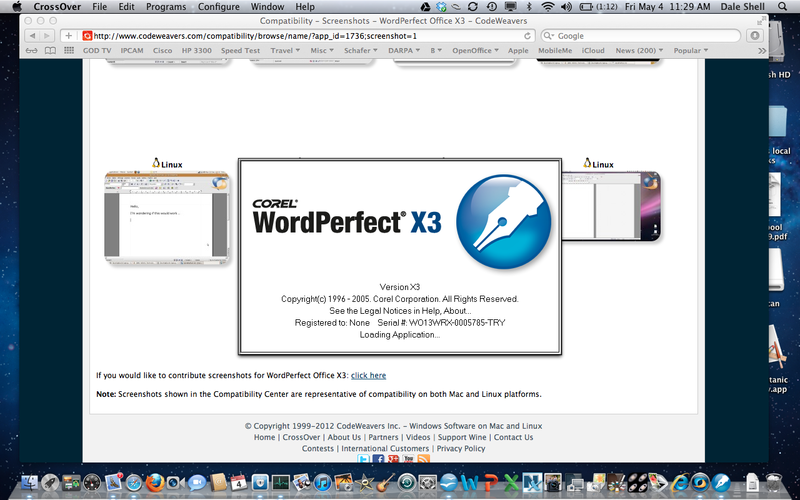 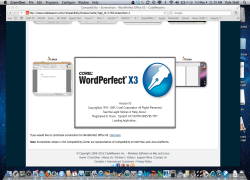 WordPerfect X3. 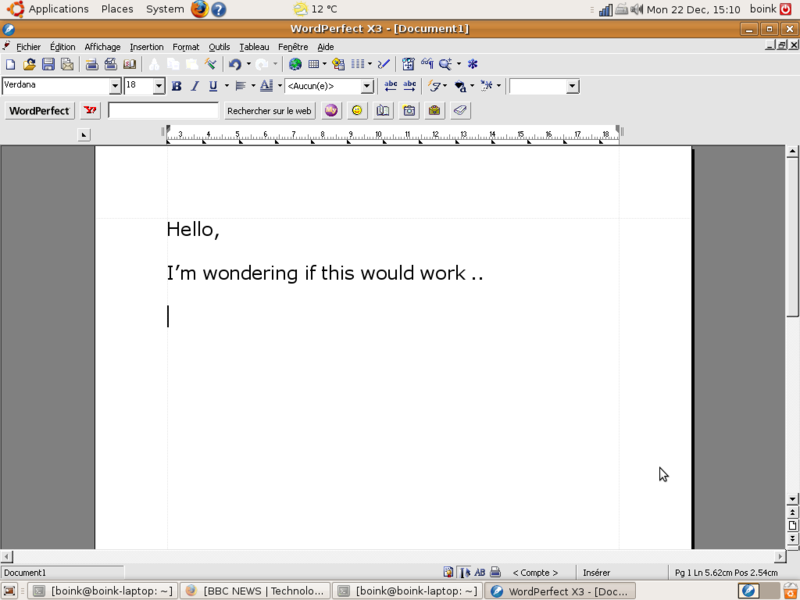 Second screen shot showing the software on Ubuntu 8.10/CrossOver 7.1.